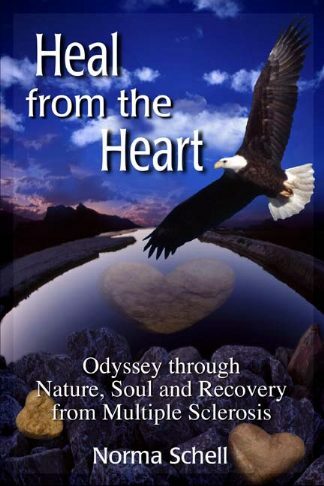 Heal from the Heart Odyssey through Nature, Soul and Recovery from Multiple Sclerosis is one woman's adventurous quest for life and recovery from multiple sclerosis. Schell relentlessly searches for answers to her unease. She breathes life into the meaning and power of her childhood joy and pain on the family farm in Nebraska. She pursues understanding of life, her body, relationships, spirit and the earth during pursuit of academic degrees in nursing and counseling psychology. Her travels take her around the globe. The threat of MS, together with the deep love for her sons, drives her further exploration through depth psychology, Chinese medicine, the internal arts of life force --tai chi chuan and qigong -- and ways of the Lipan Apache. Understandings come alive as Schell learns the deep language of her existence and comes to terms with life on many levels. At once practical and integrated, her approach to living leads to a paradigm shift, hope, wellness and vitality. With writing that is easy to understand, Norma Schell encourages those suffering from disease to become knowledgeable with the many healing forces that lead to integrated, healthy and joyous lives. Heal From The Heart is a rare story of recovery from multiple sclerosis that inspires hope, wellness and vitality.